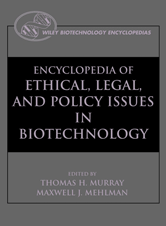 Editor/Author Murray, Thomas H. and Mehlman, Maxwell J. This set is comprehensive and technically literate and more informative on regulation and policy issues. Thomas Murray is a world-renowned leader in this field.